Origami Black Belt here we come! 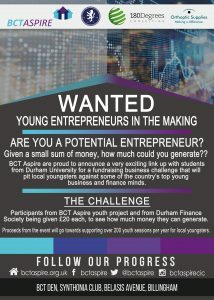 BCT Aspire are proud to announce a very exciting link up with students from Durham University for a fundraising business challenge that will pit local Teesside youngsters against some of the country’s top young business minds. There will be prizes for the winners and all funds will go towards supporting BCT Aspire’s youth work programme, that delivers over 200 youth sessions to local youngsters each year. 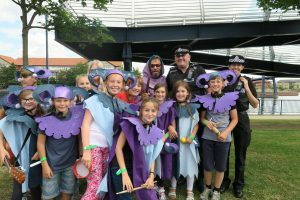 This includes delivering weekly youth clubs, music lessons, fitness sessions, the Duke of Edinburgh Awards scheme and regular trips, shows and events all delivered by a voluntary team. 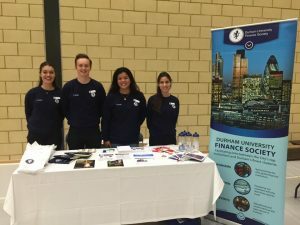 The link between the children and students is also being developed with the society offering their time to offer mentoring and support to the youngsters, helping them to develop their own enterprise skills and academic journeys. What could you do? The children of BCT have come up with some great ideas, such as a dog walking service, making cakes to sell, hosting a multi-games competition with prizes. But the competition means you can come up with your own idea. We are appealing to Teesside business community to support these local children, with ideas, knowledge and share their own inspiring stories.